2. Drag/drop or select one or multiple invoice files. Seconds later, invoice tiles will appear on the window, once for each invoice. The light green colour of the tiles shows that the invoice is being processed. Once it is done. 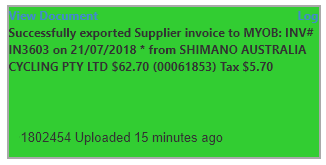 The tile color will change from light green to dark green, meaning this invoice has been exported successfully to your MYOB account. 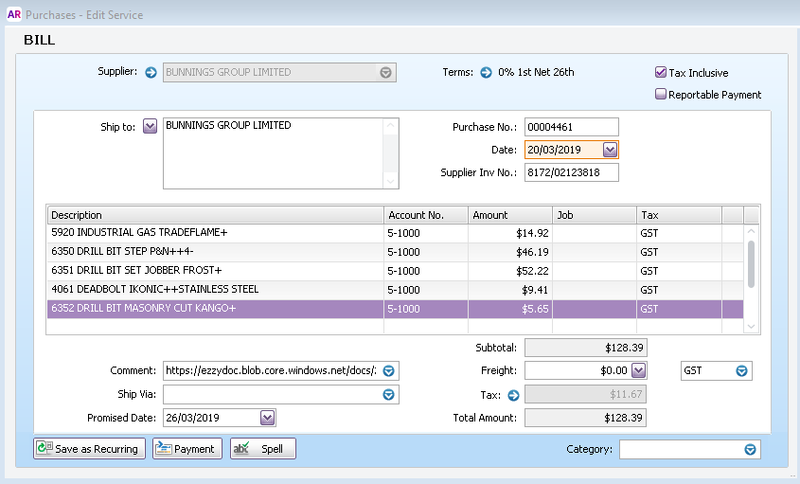 Mouse over an invoice tile, the summary information will be shown, with MYOB PO number in the bracket. If some invoices are not successfully uploaded to MYOB, you will get a red invoice tile. Refresh the browser to try again as most likely there was a network connection problem. Otherwise, it will get reprocessed automatically in due time. 3. 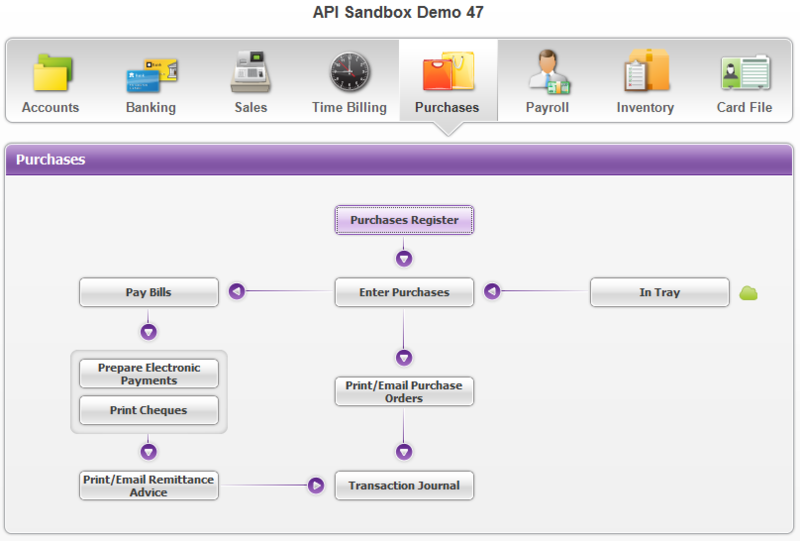 If you want to check the invoices in your MYOB account, (in MYOB) click “Purchases”, then click “Purchases Register”. You will see all the purchases. Click column heading “Date”, then the newest ones will be on the top. 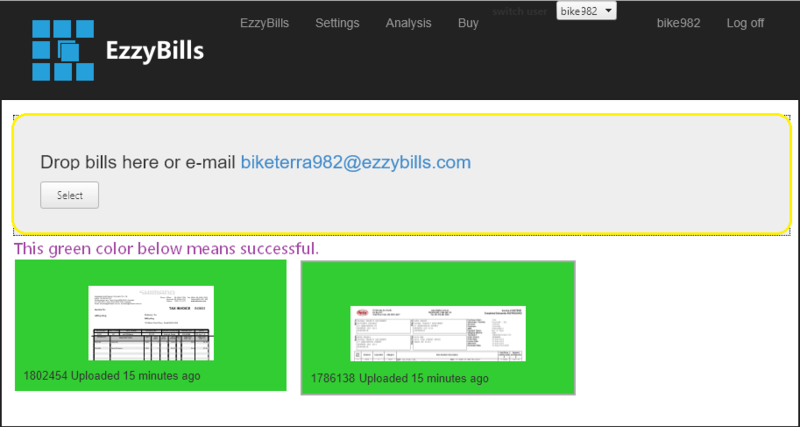 Alternative, search for the PO No (which is displayed on the invoice tile in EzzyBills). Click the bill of interest, it will be like this one below, with line details.